Get connected with your school and our district with these features and more! Please click on the link above to read all important information regarding student yearbooks & purchasing senior ads. Please click on the link above to access the printable version of the Fall 2018 N-CHS exam day sign in / sign out form. This form is due back to the main office by Jan. 8, 2019 at 4:00 pm (no late forms will be accepted). Exam week is Jan. 14 -18. Please click on the link above to access 2 Google Forms. Form A collects emails so guardians can receive the quarterly school newsletters. Form B recruits volunteers for the PTSA (Parent-Teacher-Student Assoc.). Please click the link above to access the NCHS Bus Routes Spreadsheet for 2018-19. 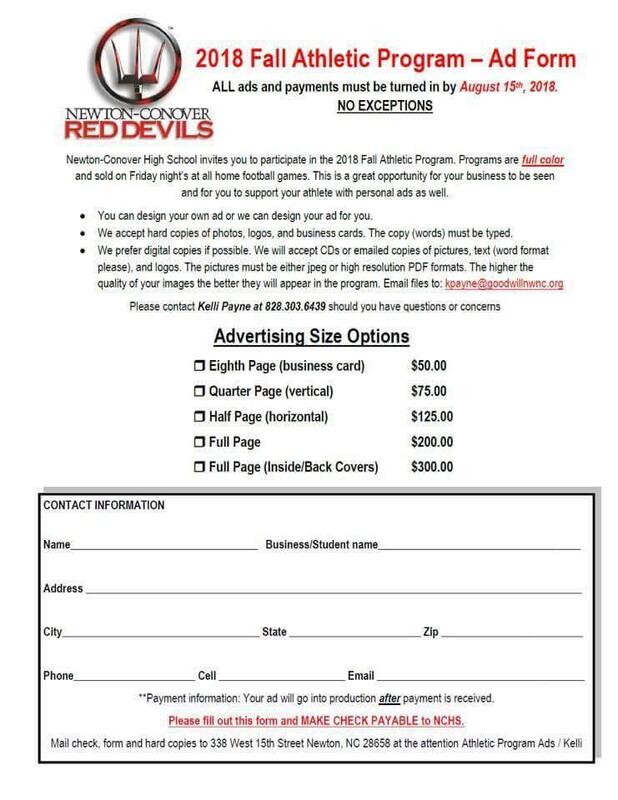 Any NCHS parent wanting to place an ad in the fall Athletic 2018 program has until Monday, August 20th to turn in their form and money. Please make checks payable to NCHS. Thank you!